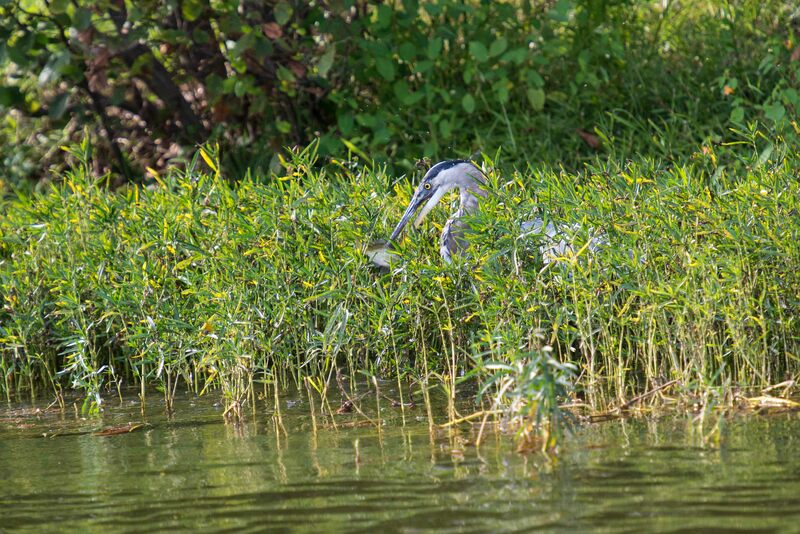 Last week, while cruising leisurely around Lake Montclair, where I live in Virginia, I spotted one of the many Great Blue Herons that also live on the lake. I brought my boat within about 25 feet of the heron, who did not seem to mind, because it was obviously watching a potential nearby meal. The heron was intently looking into the water and ignoring my presence. Within about a minute after getting close to the heron, it quickly plunged its head into the water with a large splash. The heron slowly pulled its head out of the water, and I could see that it had caught a small, unfortunate fish. The fish was not moving or flopping about because, as I was able to see later on my camera, the heron had speared the fish with both tips of its bill, which is the manner in which Great Blue Herons capture much of the fish that they eat. The three images to the left show the sequence of the heron watching and catching the fish. If you click on the images, you can see them in more detail. 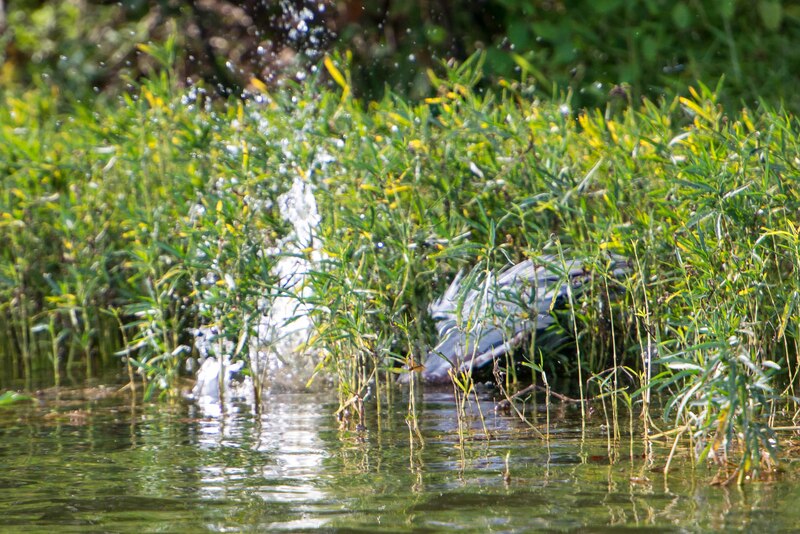 Below, you can clearly see how the heron speared the fish. 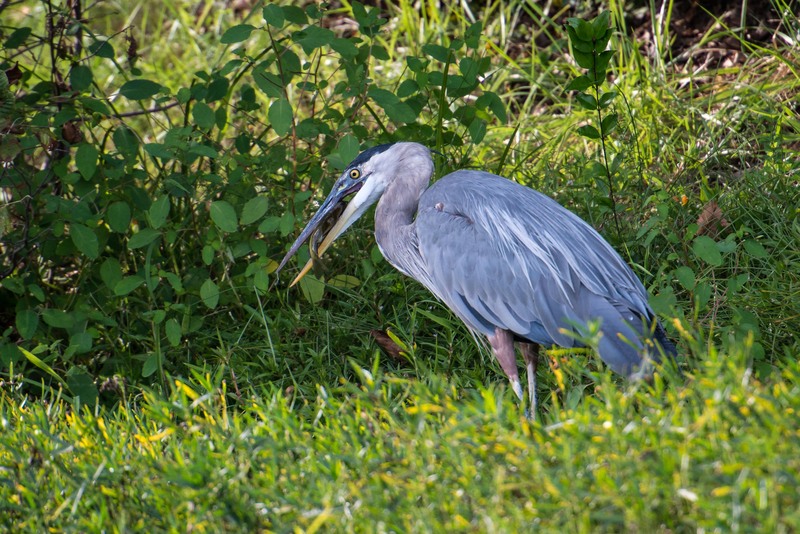 Watching wading birds, like Great Blue Herons feed is interesting to observe, because the next step in the process is dislodging the fish from the end of its bill without losing it, and then getting the fish inside its bill and down its throat. I am sure that process takes a lot of practice and that young herons must lose a lot of meals. 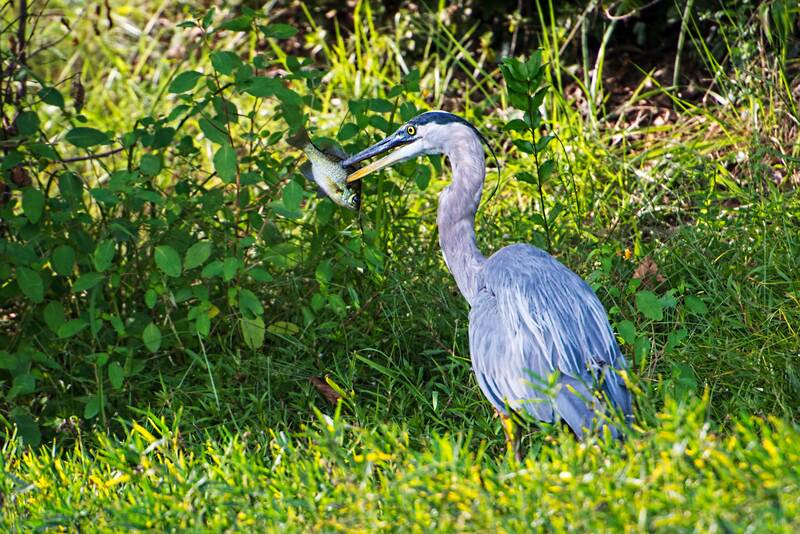 Below, you can see that the heron has managed to move the fish from the end of its bill and is about to swallow the fish. 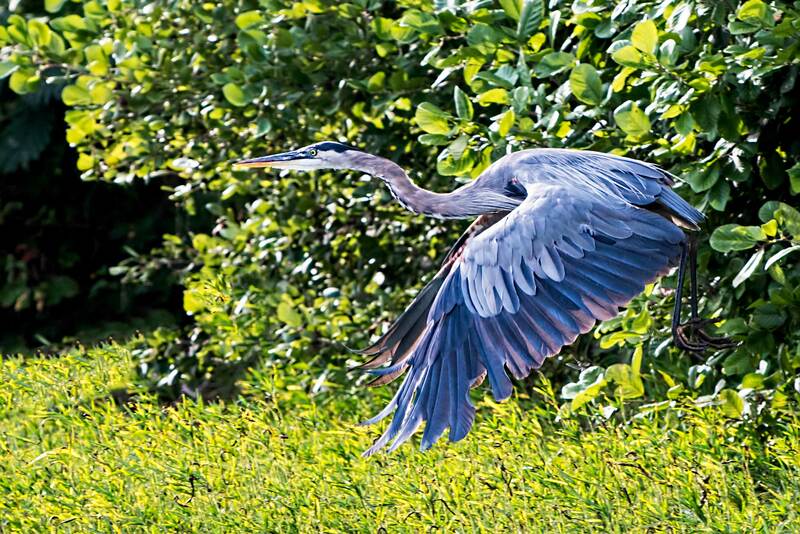 After swallowing the fish and having had enough of me watching and photographing it, the Great Blue Heron flew off. I always enjoy being on the lake, and always take one of my cameras, since I never know what I will see. Clearly, it paid off last week. 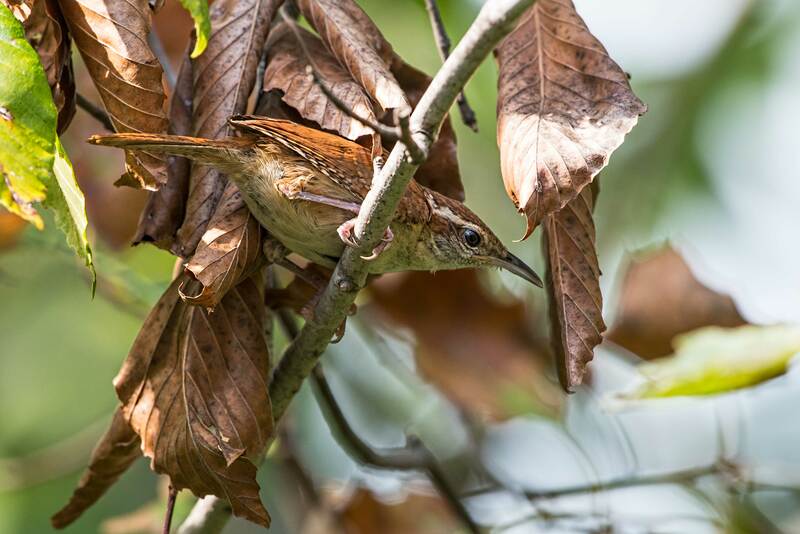 Although obviously not a Great Blue Heron, I am including an image of a Carolina Wren that entertained me last week too, when it was hunting for insects among the dead leaves in a tree. 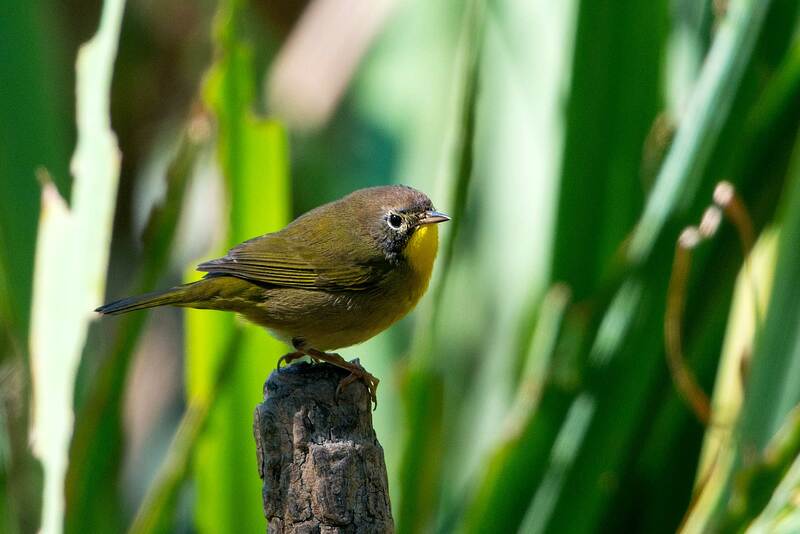 Finally, one more image to share, which is a female Common Yellowthroat Warbler. that I photographed last weekend while at Leesylvania State Park. I was hoping to see more migrating warblers, but this was the only one. I hope to find and photograph more this coming weekend. 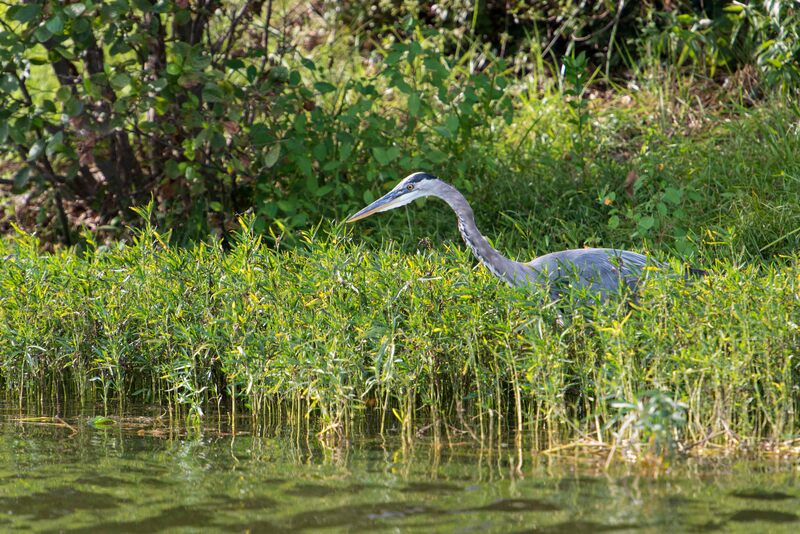 This entry was posted in Bird Photographs, Lake Montclair, Leesylvania State park, Nature, Wildlife. Bookmark the permalink. Pays to have your camera ready at a moment’s notice, so that you can capture interesting activity like this. Great shooting! Gorgeous bird and so interesting to see it in action. Beautiful … beautiful … beautiful!